Richard Lee Ward, age 77 passed away peacefully in his sleep on January 30, 2019, at the Provincial House in Adrian, Michigan. 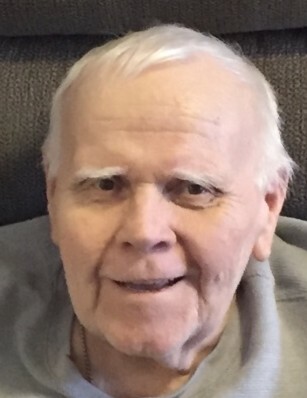 He was a graduate at Connersville High School in 1959 in Connersville, Indiana and completed schooling at St. Gabriel’s Catholic school in the previous years. He later earned four (4) Department of Labor Journeyman State Certifications while serving in his Union – International Association of Machinists and Aerospace Workers. He was avid labor activist for working people as Union steward and continued thereafter throughout his retirement. Richard's talents were many, as he was an extremely accomplished industrial Machinists and Tool & Die Maker for over 30 years where he retired from Boeing Aerospace Missile Division in Seattle, Washington. He also ran his own trucking business for several years. He spent many years coaching the community little league baseball teams in Cambridge City, Indiana. Preceded in death by his parents Corwin and Thelma Ward, his two siblings, Frederick Ward - brother; and Velma Riggins – sister; and by his wife; Judy Ward of 28 years. He is survived by his three (3) sons Michael, Matthew and Mark Ward. Robin Ward; daughter-in-law and grandchildren Ryan and Jeannette Soto. The family would like to express our thanks for the wonderful help and care given by the workers at the Provincial House of Adrian.